– The “Ambrose Asylum” segment with Ambrose, Miz and Maryse was strong follow-up with bigger news that concerned both men’s Royal Rumble match entries. Ambrose was his usual quirky self, which is easy to do when you feature an alligator head bought from a gas station on a bar stool as part of your talk show set. Loved that Miz/Maryse were dressed in black once more, as a sign of mourning of the belt. Miz was strong here, as he outright accused Ambrose of stealing the belt when the match should’ve been ended in a disqualification prior. It was like Miz to think that Ambrose would simply hand him back the Title. In another show of wit, Ambrose instead gave Miz a taste of his own medicine – his own participation award. Miz got the first punch when he fit in a cheap shot but was downed with Dirty Deeds once more. The interaction between Ambrose and Maryse was funny, as he handed her the award, only for her to slam it down once he left the ring. Also liked that they addressed that Maryse was fined $5,000 for her slap of a WWE employee. Fun little segment there. – The Natalya/Nikki Bella backstage segment was one of those pre-match shots they usually show of a competitor headed to the ring because their match was next, only the twist here was that Natalya attacked her from behind. It was almost a repeat of what happened at Survivor Series, only this time we knew who it was. It was fine as far as the feud was concerned. – The Natalya-Bella match never got going and was instead more of a brawl angle. Bella walked down the ramp and speared Natalya to the floor. Natalya answered with a big boot to the face and tried to escape by the barricade, but was dragged down to the floor. Referees came down to pry them apart, before Natalya chop blocked Bella’s injured left leg and threw her out of the ring. Her smirks and Sharpshooter on the ramp were just the things they needed to give Natalya that “heel edge.” Steps in the right direction. – Dolph Ziggler’s backstage promo followed up last week’s actions when he turned heel with an unprovoked attack on Kalisto who came out to save him and then an altercation with Apollo Crews backstage, when he was upset about what he did to Kalisto. In classic early heel turn fashion, Ziggler only offered silence when asked for an explanation for his actions. We did learn that Kalisto challenged him, which was logical. – The Kalisto-Ziggler match was built off last week and had the intrigue of the newly turned Ziggler, who was significantly less enthusiastic with his mannerisms. It looked like he threw his shirt into the crowd, but probably not intently. Early on, Ziggler showcased amateur gestures as commentary spoke about how he alienated the locker room. A funny “Let’s go Ziggler, Lucha Lucha!” chant broke out. They did a great job of putting over that Ziggler was frustrated with his body language. Kalisto connected with a roundhouse kick but was knocked to the floor headed to break. Ziggler landed a boot to the midsection but was then kicked in the face. Kalisto scouted the superkick and almost rolled up Ziggler for a two-count. Ziggler hit a dropkick but only got a two-count. With the pace the fastest we’ve seen now, Kalisto snuck out the win with a crucifix rollup. The post-match attack angle was solid as Ziggler dove into that dark place in his soul and walloped Kalisto with a clothesline and waylaid him with a chair. He began to look crazed when Crews’ music hit. Once they hit the ring, Ziggler kicked him and hit him with the chair. As he seethed with rage, the crowd chanted “One more time” for Ziggler to hit Kalisto with the chair and he did so. Commentary questioned what was in Ziggler’s mind. Makes sense since he lost a lot of close matches and his heel run has him working with talent with similar styles like Crews and Kalisto, which can only help everyone involved. – WWE SmackDown Tag Team Champions American Alpha’s backstage promo hyped up their defense against The Wyatt Family. They were surprisingly confident, as we got lines from each of them about how they were ready to go to war because they weren’t intimidated by their tricks anymore. – John Cena’s backstage promo hyped up his main event match with Baron Corbin, as we saw some more of that “edge” of Cena’s anti-New Era gimmick. He used WWE World Heavyweight Champion AJ Styles calling him a “Has-Been” as motivation and began to use the term in uplifting ways, basically to say he now “has-been” fired up. Cool play on words. 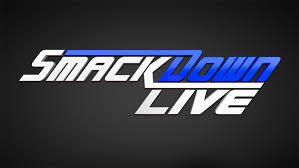 – The WWE SmackDown Tag Team Championship match between Champions AA and Orton/Wyatt had the angle of AA coming in with the Champion’s advantage as opposed to being the chasers. Early on, Wyatt was grounded as Chad Gable did some transitions. Orton was tagged in before Gable took him down. Orton hit a European uppercut and tagged in Wyatt. Gable locked in an armbar as he hung over the top rope. Gable avoided Sister Abigail before he hit a somersault senton off the apron onto Wyatt. Gable was clotheslined to the mat, which led to Orton being tagged back in. Orton dropped Gable backfirst onto the barricade. A little while later, Jason Jordan was brought in and described as a “Casa en fuego,” as he rammed some clotheslines. Luke Harper played a distraction at ringside and Jordan suffered as Orton dropped him onto the ropes. Some of the Wyatt mind games were incorporated as Orton raked Jordan’s face with his boot as he made Gable watch. Wyatt hit a running senton with heigh for a near-fall. Jordan countered with a clothesline. The hot tag sequence saw Gable and Orton both come in at the same time. Gable hit a Northern Lights Suplex on Orton and dived onto Wyatt. Gable hit a diving clothesline, but only got a two. Harper again served as a distraction, but Orton shoved Gable into him, which knocked him off the apron. Orton hit the middle rope DDT and geared up for the RKO, as the crowd popped big. Harper complained on the apron, which set Orton up to get rolled up and lose. AA retained, which was good. The match showed their comeback spirit and established more tension between Orton/Harper. The post-match angle with The Wyatt Family again saw Wyatt play peacemaker as he literally got in between an arguing Orton and Harper. Interested to see where it all goes. The big development was Harper’s accidental kick on Wyatt. A “Family Divided.” Yes. – The Corbin hype video was another cool piece of production as grim, black and white footage showed him wreak havoc. He spoke over the footage and claimed that Cena was his prey tonight and instead of hustle, loyalty and respect, he’d be all about pain, humiliation and annihilation. – The Becky Lynch/General Manager Daniel Bryan/WWE SmackDown Women’s Champion Alexa Bliss backstage segment was a great way to set up the next Bliss-Lynch Title match, this time in a cage to prevent any run-ins by La Luchadora. Loved the “speculation” that LL was Eva Marie, which meant it so wasn’t. It was hilarious how Bliss tried to justify that she had tried to befriend LL as a spy to find out who she really was. – The Carmella-CJ Lunde match was a severe mismatch, mainly for the focus on Lunde’s throwback attire. Sadly, Commentator JBL did his thing and mocked her for it, as it made her appear like a red-haired old lady. This was a basic squash with some hope spots for Lunde. Carmella took the time to moonwalk and wave at James Ellsworth before she hit the Bronco Buster for a two-count and grew irate at the referee’s two-counts. A “Let’s go jobber” chant broke out. Ellsworth got physically involved a couple of times, as he ultimately swayed the match into Carmella’s favor and allowed her to hit the Code Of Silence to get the submission win. Well, alright. That was a thing. – The Carmella/Ellsworth backstage segment was confusion, but it basically told us that Carmella was only using Ellsworth, while he saw it as a romantic opportunity. He informed her he was a 32-year old virgin and didn’t graduate high school. Sounds about right. She would take him on a shopping spree, as she grimaced when Ellsworth assumed she’d kiss him. Not really interested to see what happens. Just separate the two already. – The Corbin/Styles backstage segment set up the main event and set some tension between them. Corbin was his usual tough confident self. Styles buttered Corbin up and informed him he’d be out there on commentary. This was Styles’ first appearance on the show. Things would get better now. – Noam Dar’s backstage promo served as a lead-in to the upcoming 205 Live episode. He was booked to face Cedric Alexander and boasted that Alicia Fox couldn’t resist him. He was so delusional that he thought she’d want to kiss him again. She kissed him on Raw to prove that Cedric was right in that Dar couldn’t handle a real woman. Then again, it was passionate, so who even knows? – The Corbin-Cena main event match with Styles on commentary started with a swift Cena elbow. Corbin answered with a boot to Cena’s sternum. Cena held Corbin up, but couldn’t hold him. Corbin yelled at Styles from the ring, as the Champ soaked it all in. Corbin approached Styles outside when Cena tried to attack him, but was sent into the barricade. Corbin tried to run at Cena, but crashed into the steel steps instead. Funny moment where Styles corrected the broadcast team when Corbin hit a sidewalk slam. Cena was caught in a bear hug for a minute or two before he pried himself loose with his arms, because Cena. In the first time in history, Cena landed a tornado DDT (at least we think for the first time) and that set up the Five Knuckle Shuffle. With little fight left from Corbin, it was Attitude Adjustment time as Cena got the win. Good for what we saw, but that was more of a decisive finish than we expected, given how they’ve protected Corbin over time. The stare down between Cena and Styles to end the show made sense given they fight at the Rumble for the Title. This strengthened that some, but it felt like this episode was more about Corbin-Styles than anything. Posted on May 6, 2017, in WWE and tagged AJ Styles, Alexa Bliss, American Alpha, Apollo Crews, Baron Corbin, Becky Lynch, Bray Wyatt, Carmella, CJ Lunde, Daniel Bryan, Dasha Fuentes, David Otunga, Dean Ambrose, Dolph Ziggler, James Ellsworth, JBL, John Cena, Kalisto, Luke Harper, Maryse, Mauro Ranallo, Natalya, Nikki Bella, Noam Dar, Randy Orton, Royal Rumble, The Miz, The Wyatt Family, Tom Phillips. Bookmark the permalink. 1 Comment.